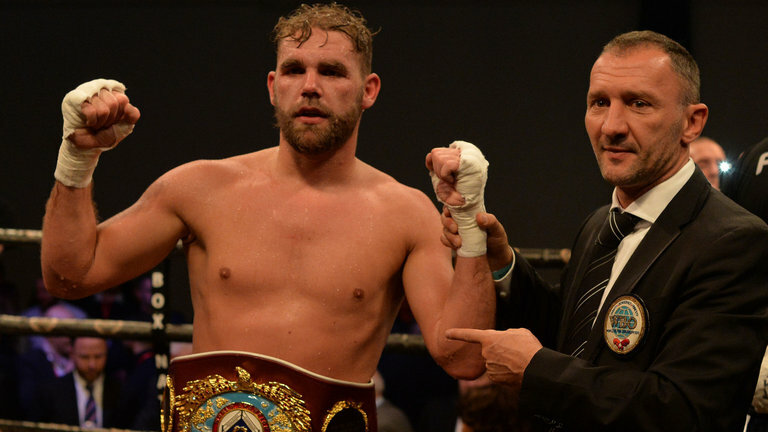 WBO Middleweight World Champion Billy Joe Saunders has suffered an injury to his hand that has scuppered his plans to defend his title against Martin Murray on Saturday 14th April at The 02 in London. Saunders, who suffered his injury during a training session, is devastated that he will not be fit to box on April 14th as he was looking forward to producing another masterclass after his career-best performance against David Lemieux at the Place Bell in Laval, Canada in December. He will now make the fourth defence of his WBO crown against Murray at The 02 on Saturday 23rd June, topping an action-packed card that features Anthony Yarde, Daniel Dubois, Ohara Davies and a host of other exciting match-ups. “I’d like to thank my promoter Frank Warren for quickly sorting a new date for the fight. My trainer Dominic Ingle will make sure that I’m fit and prepared to put on another show on June 23rd. “It is extremely frustrating as tickets were going very well and we were all geared up for a fantastic evening of boxing on April 14th,” said promoter Frank warren. “I apologise to all of the fans that have bought tickets for the April 14th date but all original tickets will be valid for the new June 23rd date. “It is not straightforward as this is an ordered fight for a Vacant Title but we are working hard to get everything sorted and our priority is to secure Terry his chance to become a Two Weight World Champion”. All original tickets will be valid for new Saturday 23rd June date. If you are unable to make the new date, fans can contact their point of purchase should they require a refund during the next 14 days.